Arthur “Apple Art” Lambert, age 85, of Stonington, MI, passed away at his home on Wednesday, June 20, 2018. Art was born December 20, 1932, in Pontiac, MI, the son of Harry and Florence (Dill) Lambert. Art worked for years as a Machinist with Chrysler. 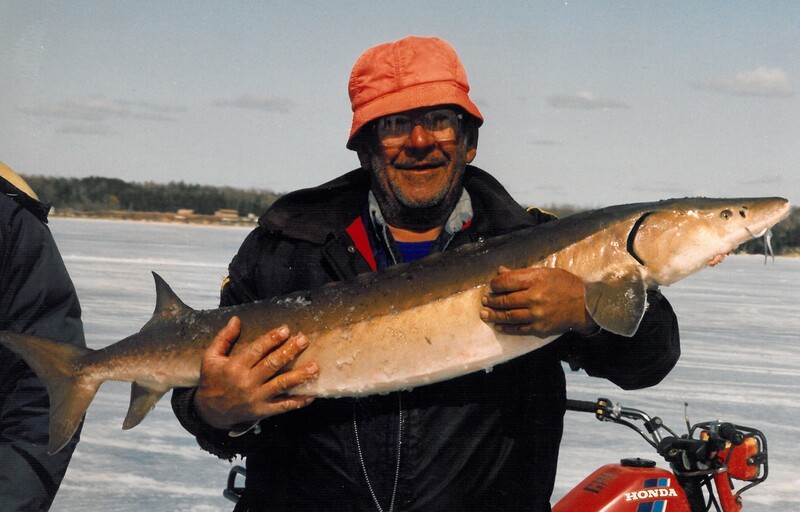 He retired early to take advantage of what the Upper Peninsula had to offer. His true passions were fishing and hunting. He also enjoyed visiting with friends. No one was a stranger to Art. Art was preceded in death by his wife Barbara Lambert. Private services will be held at the convenience of the family. The Skradski Family Funeral Homes of Delta County are assisting the Lambert family. Sorry to hear of Art’s passing! He was a good friend to us when we owned the Vagabond Resort. We have many fond memories of him!